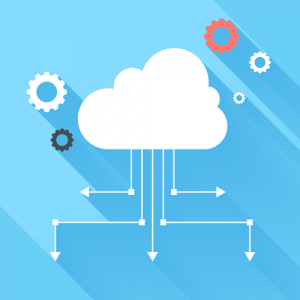 With the expansion of the cloud and software-as-a-service (SaaS) solutions, there may be some services that you may have never considered being delivered from the cloud. Generally, a majority of these services were at one point represented in the workplace as on-prem hardware/software solutions often taking up space in a server closet or data center. 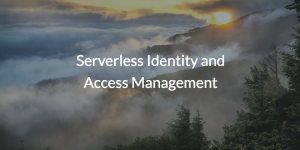 Now, as the cloud expands, the next generation of serverless identity and access management (IAM) solutions are making the move as well. Historically, identity and access management solutions – namely the identity provider – have been delivered on-prem. Generally the first “modern” example of IAM solution begins with LDAP in 1993; LDAP is a directory services protocol created by JumpCloud® advisor, Tim Howes, and his colleagues at the University of Michigan. 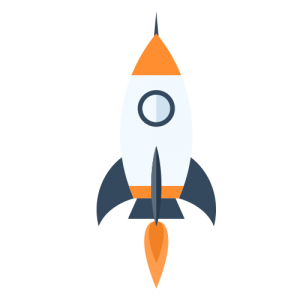 LDAP found great success and spawned two successors: OpenLDAP™ and Microsoft® Active Directory® (AD or MAD). OpenLDAP, released in 1997, is generally used for technical applications and AD is the commercial market share leader in the space. Active Directory, along with the domain controller, provides a user’s identity and then authorizes and authenticates that identity to the on-prem Windows-based resources it requires. Microsoft Active Directory also extends identities to a wide range of other add-ons and patches to AD including single sign-on (SSO), identity bridges, privileged identity management, and many more. But, IT is changing and an on-prem delivery model has not displayed the flexibility that IT admins prefer. Often, an on-prem identity provider simply acts to hinder a cloud forward approach. Recently, some of these add-on solutions have made their way to the cloud, but the core of the identity and access management infrastructure, usually Active Directory, remained on-prem. The challenge for IT organizations has been that the rest of their IT infrastructure is shifting to the cloud while users are migrating non-Windows platforms like Mac® and Linux® systems. The result is that AD struggles with managing the entire IT infrastructure without heavy investments in add-ons and the time it takes to implement and configure them. While many of your most used applications and tools are now cloud-based, they’re still anchored to Active Directory. For many cloud-forward IT organizations this represents a challenge, but, for some this creates an opportunity to embrace the future of identity and access management. The opportunity at hand lies with those willing to embrace the cloud and reevaluate their approach to IT management. For innovative organizations, this means migrating to a serverless identity and access management platform. But, first, there are some requirements that must be met for organizations to justify sunsetting Active Directory. An effective cloud IAM solution that could replace MAD on-prem would have to securely manage and connect users to the IT resources they need including systems, applications, files, and networks regardless of platform, protocol, provider, and location. File servers on (NAS devices and SAMBA) and off prem (Box™, Google Drive™ and Dropbox™), as well as many more. Now that the benefits of a shift to the cloud have been demonstrated, drop us a line and see how serverless identity and access management can help you to increase agility and innovation while cutting costs. Sign up today for a free account so that you can gain first hand experience with our cloud-based directory service. It’s free and allows you to manage up to 10 users forever with no need to divulge your credit card information. Once you’re set up, give our YouTube page a look for helpful hints, tutorials, and best practices, and informative whiteboard videos.